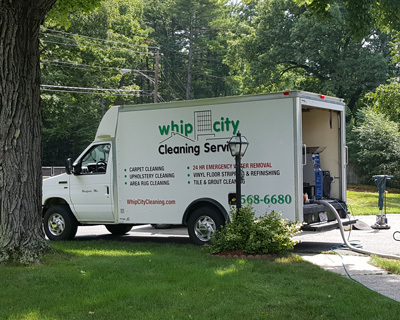 Give them a day at the spa for a deep clean to ensure several more years of enjoyment. Send Your Rug To The Spa! We are area rug cleaning specialists and have the knowledge and professional training necessary to clean everything from the simplest throw rug to the most delicate and expensive oriental rug. We will pick up your rugs and bring them to our rug spa to give them the care and attention to deep clean and restore them. Dusting: your rug is beaten and vacuumed until all loose dirt is removed. Washing: we use a safe neutral PH Oriental shampoo over the body of the rug which helps remove soil and leaves less residue. Then a special cleaning agent that enhances brightness is used to clean the fringe. Rinsing: Then your rug is rinsed with warm water (less than 120 degrees) which is immediately extracted removing all soil and cleaning agents. At this point we set the pile in the correct direction giving you a bright sheen look from one end and a deep rich look from the other. 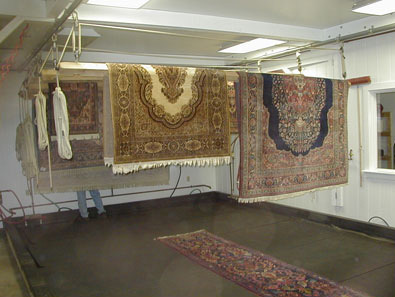 Drying: Your rug is then hung to dry in constant moving air with dehumidifiers for 3-4 days to ensure thorough drying. Grooming: Lastly it is groomed with a pile brush to give it a plush look and feel. This process normally takes about 10 days but can vary at different times of the year. We also have the capability to dry clean rugs that cannot be wet cleaned. However, in our 25 years experience, we have found that 99% of all rugs can safely be wet cleaned as long as the technician has the correct knowledge and has been trained properly. In our spa, each cleaning is customized to your rugs individual needs. Your rugs deserve a day at the spa! We are more than just your local area rug cleaning experts.